It is fair to say that this has been a long time coming, every band split up at some point but we did not think One Direction boys would split up this soon. The boys; Harry Styles, Liam Payne, Louis Tomlinson, Niall Horan and Zayn Malik who has recently decided to call it quit. The boys have been together since they got signed to Simon Cowell’s record label Syco Records after finishing third in the seventh series of The X Factor in 2010. They are known has the biggest boy band ever, hard to believe as they were only solo singers put together in a group only 5 years ago. However, their four albums including; Up All Night (2011), Take Me Home (2012), Midnight Memories (2013) and Four (2014) broke records, topped charts in most major countries and generated hit singles including “What Makes You Beautiful”, “Live While We’re Young”, “Story of My Life” and “Steal My Girl”. Malik Zayn announced that he is leaving the group via the boy band’s official Facebook Wednesday afternoon. “My life with One Direction has been more than I could ever have imagined. But, after five years, I feel like it is now the right time for me to leave the band. I’d like to apologize to the fans if I’ve let anyone down, but I have to do what feels right in my heart. I am leaving because I want to be a normal 22-year-old who is able to relax and have some private time out of the spotlight,” he said. He also said; Niall Horan, Liam Payne, Harry Styles and Louis Tomlinson are his “four friends for life,” Malik also added, “I know they will continue to be the best band in the world.” Horan, Payne, Styles and Tomlinson will continue as a four-piece band and said they will honor their remaining world tour dates. 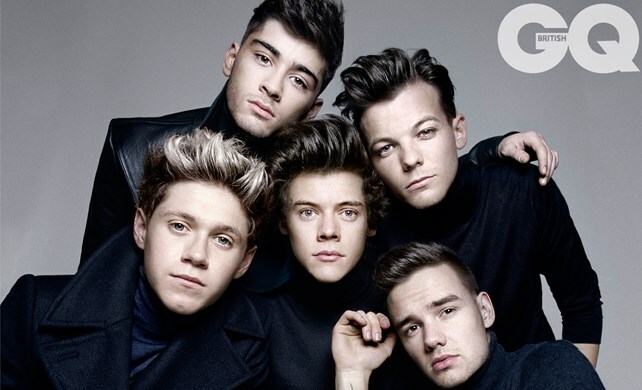 The quartet will also record their fifth album, “due to be released later this year,” without Malik’s. Just only last week, Malik walked away from his band’s world tour after claiming it was stress. He returned to the UK shortly after being forced to defend his relationship with his fiancee, Little Mix singer Perrie Edwards. As a photo had emerged of him holding another woman and standing really close to her. We are still in shock to hear this news and we honestly don’t know how 5 will become 4. But if Robbie Williams can become a successful solo artist after leaving Take That maybe Zayn Malik could end up being the next best thing too. We cannot wait to see what is to come. Is Cheryl Pregnant or Is It Rumours?